Whenever I visit Harrods I head straight for the handbags and accessories to lust over my favourite styles and see the new designs! If I was to win the lottery one of the first things I'd do is treat myself to a designer handbag.. or three! I've always been handbag obsessed, you just need to open my overflowing wardrobe to see this!.. but lately rather than continuing to buy more and more bags I want to start saving a little each month then I'll finally be able to invest in one of my dream handbags! Here's a wish list of some of my favourite designs that I'd love to own one day! My dream bag would have to be a Mulberry! I love the classic shape and turn lock detail of the Bayswater. I'm also a fan of the recent Del Rey collection inspired by one of my favourite style icons, Lana Del Rey. Lulu Guinness's range of Lips clutches make the perfect addition to your outfit for a night out. I adore this studded Lips clutch which is perfect for the autumn/winter season! I love the relaxed style of the Marc by Marc Jacobs Hobo Bag. I usually favour big handbags and this travel tote by Michael Kors is a practical yet stylish solution for holding all your daily essentials. 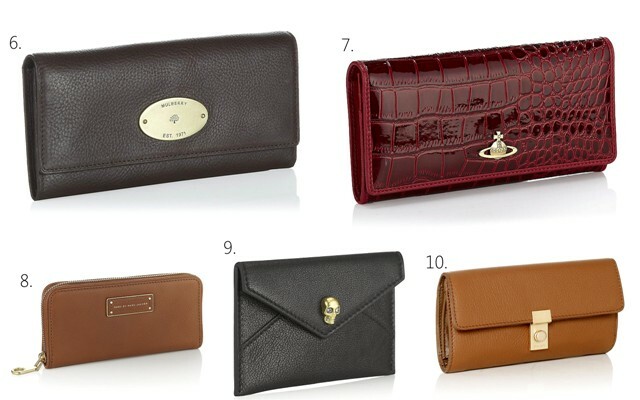 I love the classic design of the Mulberry continental wallet, it'll make a perfect match for when I finally get my Bayswater! I adore the glossy patent cherry red tone of this Vivienne Westwood purse in printed crocodile leather. I also love the simple yet chic design of this Marc by Marc Jacobs slim zip wallet in classic tan. This McQueen card holder has a signature crystal skull and has to be the most stylish way I've seen to protect your plastic! This DKNY purse in soft leather has a classic lock clasp detail adding that luxurious look at a more affordable price. The Mulberry is beautiful, we actually have a really good copy in our shop, think I'm going to treat myself to the grey one! Love that skull card holder too. 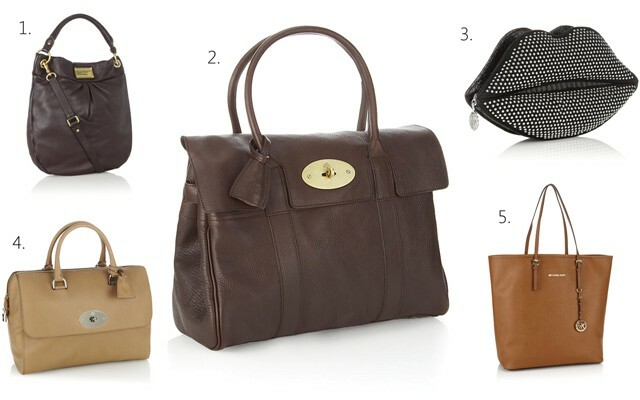 Even though I've got a Mulberry I still can't helping lusting over all the others too! I really really really want the Mulberry brown tote just to carry my uni bags in. And that Westwood purse is such a gorge colour, dead rich! We just need to win the lottery basically. I love bags - who doesn't, right? A Mulberry is definitely my dream bag. I just want them all plz! Love the lulu clutch especially! I don't really have a dream handbag since I'm very rough with my accessories. Horrible, I know. But I would LOVE to have that McQueen wallet and the studded lip purse! tooooo cute. I think my dream bag has to be the Effie by Mulberry or an Alexa. Timeless bags that can be with you forever and that in itself is worth every penny. I'd go for the Michael Kors tote over he Mulberry any day. Though, I am biased because a friend of mine spent £700 on a Mulberry for it to break within 2 months and she had a terrible experience when she went to the store with really rude staff. Such a shame! For me, it's always going to be a quilted black Chanel shoulder bag with chain strap. A forever classic... and one that would make my credit card go into hibernation forever.